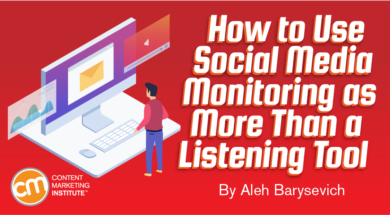 If you stop at the listening part of social media monitoring, you’re missing out on fresh and effective ways to interact with your target audience and deliver better business results. 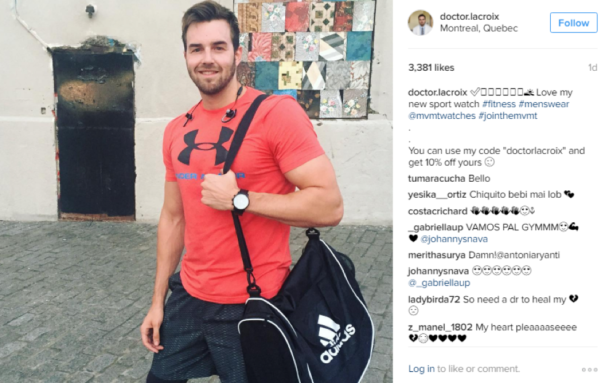 Consider these six ways to take your social media monitoring to the next level. First, let’s get one thing out of the way: Social media listening and social media monitoring are one and the same. Sure, “listening” can convey deeper meaning; however, these words are used interchangeably. Second, social media listening is identifying how your brand/company/product/CEO or any other valuable keyword is mentioned on social media platforms. It also can encompass websites, blogs, forums, etc. Social media listening tools, e.g., Awario (disclosure: I work for the company), Mention, and Talkwalker, enable you to efficiently track those mentions. Now, let’s get to how to respond to that listening and monitoring. As weird as it sounds, online negative reviews give you more opportunities to show off and attract clients compared to positive ones. Most people are aware of the popularity of fake reviews and they never know whether to trust a positive review online. 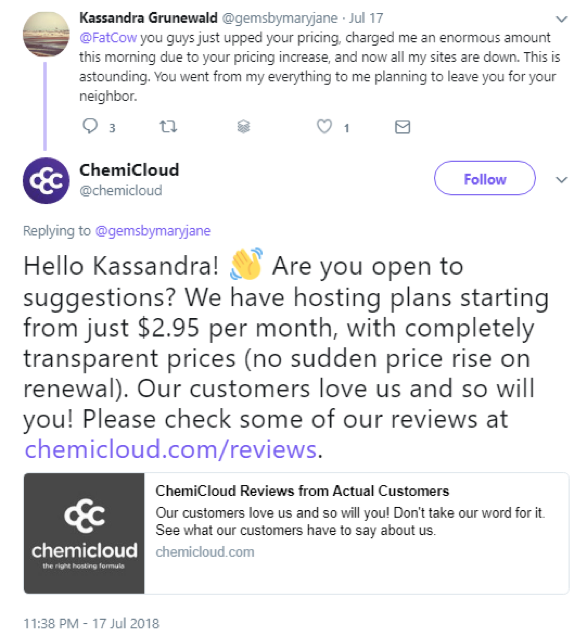 A negative review followed by a thorough response from a company is clearly authentic. Followers of the interaction can get an impression that the brand cares for its customers and stands out from soulless corporate organizations. If it’s a reasonable criticism, reply with a brief apology followed by a detailed solution or explanation of how the mistake will be avoided in the future. While it might be too late to help the original poster, the audience that sees your reply can appreciate it. The audience will recognize that your brand will do its best to solve a customer’s problem – even if they don’t know the ending for the customer. Through social listening, you also can identify people who are asking questions publicly about your products or brand. 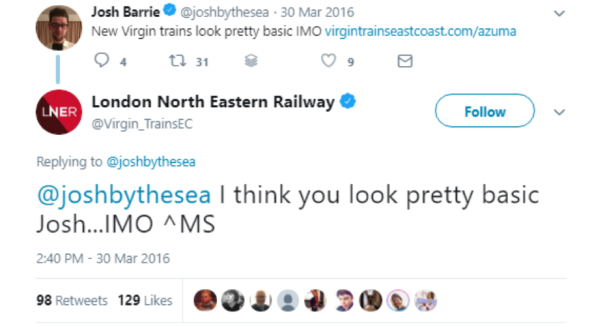 They don’t go to you, the brand. They might ask their followers or the social media universe in general, hoping someone will react (Twitter lives for this kind of people). Creating alerts in a social media listening tool with similar questions, your industry/service, and (if applicable) location will give you suggestions on leads to follow as these people are interested in the type of product you sell but may be unaware of your brand. 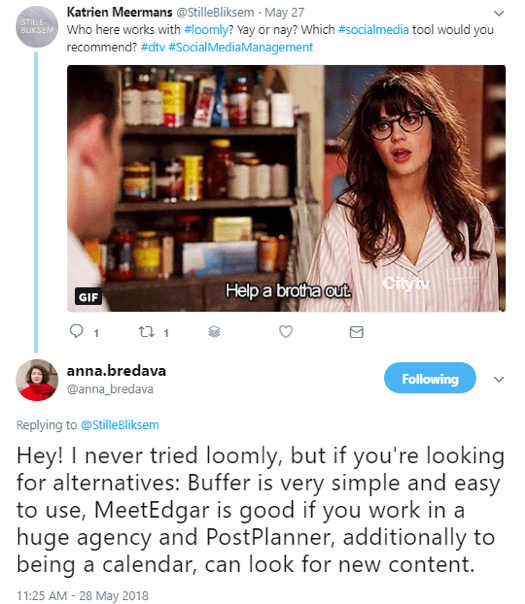 Now imagine if Loomly had responded to Katrien’s tweet instead of or in addition to my colleague Anna’s reply. 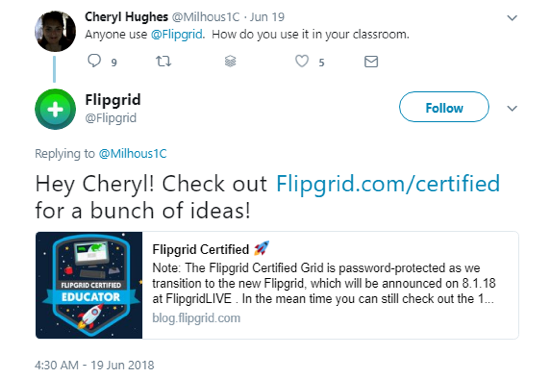 While publishing valuable content on reputable sites and contributing to Twitter chats is a good idea, to be an effective industry leader, you need to get online and answer questions about your industry. Through social monitoring, you can answer the questions your audience is asking. Pay special attention to community-aggregated sites like Reddit and Quora because these places are where experts get “discovered.” It’s best to share your unique insight or niche knowledge to stand out in a crowd of responses. People who read your responses and have a need for your product are likely to dig further to learn more about your brand. Make sure when they check out your profile and social media history (a common tactic for Reddit and Quora users) they can see you’re a trustworthy expert. Your competitors’ customers are undeniably leads. They are at the far end of the sales funnel. All you need to convey at this point is that your product is better than the one they’re already using. And that’s not as hard as you might think. Your competitors’ customers are divided into three groups: happy or satisfied, unhappy or dissatisfied, and undecided. Leave the satisfied ones alone and find the others through your social media listening. Monitoring your main competitors and keywords can indicate uncertainty and unhappiness that you can act on. Negative and not-so-good reviews, complaints, the search of alternatives and recommendations should become your battlefield. Explain why your brand is better, and, more specifically, why it doesn’t have the faults the other one has (without restating those faults) as shown in the example above. In a recent case study by TapInfluence and Nielsen Catalina Solutions, influencer marketing delivers 11 times the ROI of digital marketing. Not all kinds of influencers will bring you this amazing result – only the ones relevant to your brand whose followers are your target audience. Use social media listening tools to identify micro– and macro-influencers based on their relevance to your brand and industry, the number of followers, and overall activity. People express their opinions, frustrations, and desires online. And somehow, brands are still experimenting with the methods from five, if not 10 years ago, and ignoring the amazing possibilities of things brought to us by big data and machine learning. Social media listening is one of those amazing things to discover your audience, its interests, its questions, etc., and be the brand engaging with them. Want to “listen” from your inbox? Subscribe today to the free weekday CMI newsletter for tips, trends, and monitoring of what’s happening in content marketing. Aleh Barysevich is chief marketing officer and co-founder at Link-Assistant.Com, the company that makes SEO PowerSuite (website promotion toolkit) and BuzzBundle (social media software) for bloggers, webmasters, and online marketers. Follow Aleh on Twitter at @ab80.